Are your West Samoset property's trees starting to become overgrown? Need help removing a dangerous tree? Working with our staff at Sarasota Tree Care Services, we provide a long list of tree services that will keep your property safe and looking great. Our tree care specialists can effectively diagnose tree problems and trim away damaged limbs to promote healthy growth. If you have a tree that can't be saved, we can safely and effectively remove trees of all sizes and grind away the remaining stumps. We are dedicated to providing high quality services, delivered in the safest way possible. Being licensed and insured, we have the qualifications to tackle any job, so bad how big, small or dangerous it may be. Our goal is always to provide both our residential and commercial customers with competitive prices and allow all their needs to be met, but still stay within a reasonable budget. We will use as many technicians as needed to complete each job, and we will try to utilize specialize equipment to make us more efficient. For example, in terms of general tree removal, one of our arborists climb the tree with climbing ropes and harness, or we can use a crane. In most situations, we only will remove a tree is it is absolutely necessary. For example, sometimes trees begin to over grow the area that they’re in, and they start almost touching power lines, other utility lines, houses, or buildings. When this happens, a tree almost always need to be taken down. Likewise, if we find out that a tree is sick or has a structural problem that means that it could be a hazard to your property and those living and working on your property. Whatever the case, our experts at Sarasota Tree Care Services are up to the challenge. 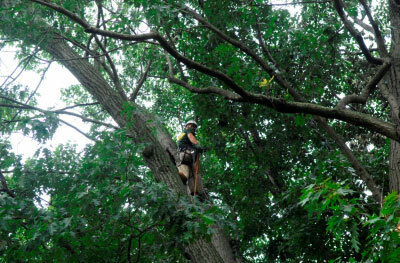 Our team is specialized in tree trimming, thinning, and crown reductions. While we perform tree care year-round, the majority of our pruning and trimming services take place in the late fall or throughout the winter. This is done because this is the time when trees are dormant and not growing. 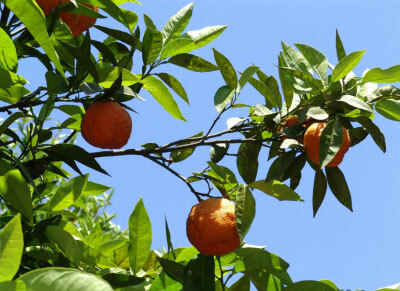 Because of this fact, they are less susceptible to harm during pruning. They have more stored energy to heal since they are not using it to grow. From large limbs to small tangled branches, we will do everything we can to open up space and help the tree’s overall well-being. After many years of consistent service for homeowners and business owners, our team at Sarasota Tree Care Services has become a trusted resource for affordable tree care in West Samoset, FL. As a professional service contractor in our community, our goal is to establish relationships with our customers that go past just business and customer interactions. We want to make an impact in our local community and because a household name and locals can rely on. Our company only hires the best to perform on services, and we only utilize top-of-the-line equipment to help us complete our project. No job is too big or too small.